Depicted by field is an electron micrograph of the dorsal epidermis in a transverse plane from an asexual adult animal. 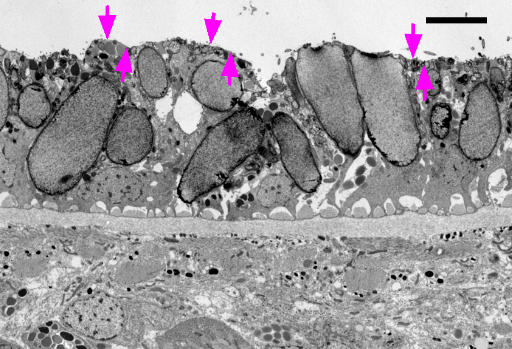 The apical epidermis surface is noted with magenta arrows. Scale bar is 5um.